A slim majority of Americans think Apple should help the FBI unlock the iPhone of one of the San Bernardino shooters, a new survey has found. The Wall Street Journal reports that about 51% of Americans side with the FBI, while 41% back Apple, according to a survey by SurveyMonkey. The gap is even larger when Android owners were surveyed. A little more than a third of them side with Apple. About 46% of iPhone owners agree with Apple. 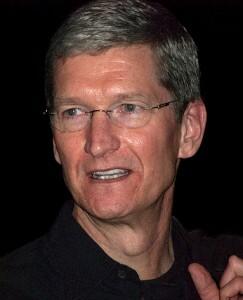 But the numbers are in Apple’s favor for those who have read Apple CEO Tim Cook’s message to customers. But the survey found that only 16% read the letter. Many tech companies, including Alphabet Inc.’s Google and Twitter Inc. have come out strongly in support of Apple, and privacy advocates have decried the FBI’s effort to force Apple to unlock the phone. But SurveyMonkey’s poll highlights the disconnect between public opinion and the interests of Silicon Valley-based tech firms. Posted: 2/22/16 at 8:54 AM under News Story. Slim majority—isn’t that an oxymoron ? ?